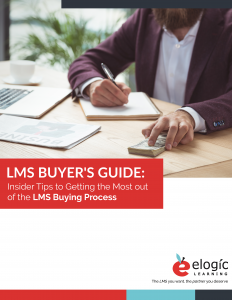 FREE DOWNLOAD: LMS Buyer’s Guide. Learn the ins and outs of the process with advice from industry insiders on making the best decision for your company. Corporate training trends and the evolution of technology are, at this point, difficult to parse apart from each other. As a result, a traditionally stagnant industry has become fast-paced and exciting. But it’s not an industry necessarily associated with big, fancy budgets, either. Watching elearning and development professionals navigate a changing world is such an interesting time for the elearning industry. As 2019 approaches, the focus on using new technology as part of alternative methods of learning continues to escalate. As you gather your resources together to decide on a strategy for your corporate training in 2019, check out some of these corporate training facts that can help you drive your decisions about where you need to invest in newer trends and/or technology this upcoming year. Workplace safety: compliance keeps employees safe and sound when they follow proper procedures during risky tasks. Security: Especially cybersecurity. With so many stories of data breaches and stolen information from companies that failed to follow proper security procedures, this one hits home. Clients and customers care a lot about the security of their personal information, and mistakes are expensive to fix, both physically and via public relations. Legal compliance: legal compliance saves companies from suffering fines and loss of public reputation. Legal compliance is where the most danger in auditing comes into play, as well. If your company is asked for records related to compliance training, having them up-to-date and well organized will make them ready to pull and save your back. By 2019, if you haven’t invested in the mobile learning game, it’s time to get rolling. People are more and more comfortable on their mobile phones and often prefer it to their desktop. Learners simply just enjoy learning on mobile. Plus, mobile learning has so many advantages – it enables learners to take courses from anywhere and make use of their time between meetings and out of office. It also allows them to receive notifications about courses and deadlines in the palm of their hands. Companies are discovering that the hype behind microlearning isn’t all just hype. Research is discovering how effective it is. 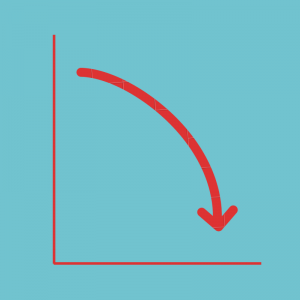 Microlearning results in 22% more learning retention than long learning content. It can’t necessarily stand on its own, but it’s a great part of a more complete corporate training strategy. Longer course modules certainly have their place, and are also necessary. But microlearning helps fill in a lot of gaps. Microleaning helps make mobile learning even more effective by giving learners ways to make effective use of short time gaps throughout their day as they run from place to place. It also provides an avenue for just-in-time learning – those “I need help now” scenarios in which an employee needs to, say, learn to slice a tomato properly or brush up on public speaking tips before a big meeting. Our client, Hooters of America, has a library of microlearning videos on small food prep, cleaning skills, and more. It’s very popular in their restaurants. Microlearning is also an effective method of implementing continuous learning. While employees don’t have time to take long classes to refresh their memory, you can use regular microlearning modules to brush up on key points. For example, a monthly microlearning module on safety compliance, or cybersecurity, can keep employees in-the-know on certain topics. Hermann Ebbinghaus is one of the oldest psychologists studying learning, and discovered many phenomena of memory that we still rely on today when planning training. One of his discoveries that is most relevant to us is the Forgetting Curve. The Forgetting Curve names the effect of time on memory. Without reinforcement, we lose memory of the things we have learned exponentially over time, with memory loss plateauing after around thirty days. Putting an emphasis on continuous learning is going to be a corporate training trend for 2019. Part of that is because the technology we are developing makes it easier than ever to provide that continuous learning. LMS software makes it simple to set up regularly distributed, microlearning modules to reinforce learning. Notifications and email reminders help automatically remind learners to complete their courses. Learners can also take quizzes to reinforce their learning after they complete a course. Mobile learning makes it easy to keep up with these reminders and complete learning and quizzes on the go. This fact is just one of many that is motivating training and development professionals to invest in gamification. Gamification is becoming another must-have trend that adds spice to the training life. 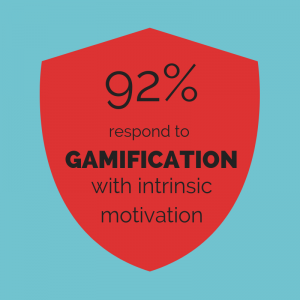 One of the biggest benefits of gamification is that it motivates learners. A weakness of online training environments is that there are no instructors standing right in front of you, helping to guide you and give you feedback on what you’re doing right and wrong. That immediate feedback encourages learners to keep moving forward, and gamification provides that in an online environment. This can be replicated in the form of contests, leaderboards, badges, new levels, and more via gamification. It provides another option that will appeal to different learning types and provide variety in terms of the kinds of feedback provided. Virtual reality and augmented reality have a reputation for being costly and inaccessible. However, that may be slowly changing. Companies like Google are making VR headsets out of cardboard and using phones that people already own to deliver the most basic VR technology. The price is continuing to come down and many industries are starting to realize that VR and AR may be able to make an impact on their training. Two of the biggest industries that benefit from this technology are airlines and the healthcare industry. There is a children’s hospital that is discovering that VR training is helping them to actually reduce corporate training costs. Right now, VR and AR are spoken about like it’s a far flung, experimental way of training. But keep this fact in mind as you enter 2019 and expect that tone to change to one of possibility and excitement. One of the advantages of a great LMS, and online learning in general, is that it provides a simple avenue for personalized learning on a level that you can’t deliver in a traditional classroom model. Research shows again and again that personalized learning is effective, and the longer personalized learning is used, the better. Adaptive learning is the next, up-and-coming evolution of personalized learning. It uses data and computer algorithms to determine teaching methods that are tailored to learner needs. This is becoming more and more popular in corporate training, so it’ll be great to keep in mind as you move towards the new year. Learn more about online corporate training and how to make software choices that will enable you to create engaging, effective training that utilizes all the latest trends in elearning.